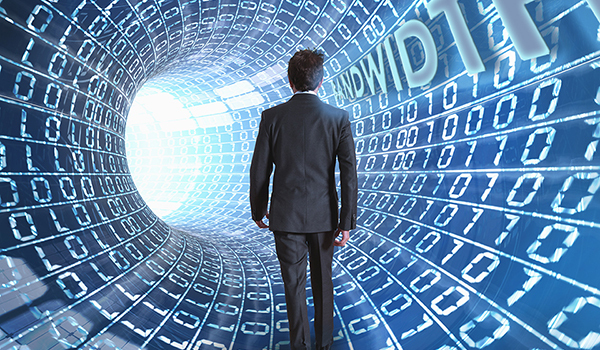 Bandwidth management is an investment that pays off in customer satisfaction and cost savings. Anyone who has had to access a mobile data connection has experienced the frustration that comes with a slow connection or unreliable speeds. These problems may occur from insufficient bandwidth or an overload of the network, but to the user the cause does not matter. What matters to them is how much time they are wasting while they wait. The success of a business revolves around how well they satisfy their customers. Nowhere is the importance of customer satisfaction more apparent than in the hospitality industry. Hotels are diligent about meeting the expectations of their guests. They cannot afford to offer amenities that create headaches for their guests and staff, which is what often happens when hotel WiFi networks become overloaded. Bandwidth management solutions reduce and often eliminate network overload by encompassing a wide array of hardware and software solutions to help businesses allocate and prioritize the bandwidth usage across their networks. There are three basic features a WiFi network needs for effective bandwidth management. They are traffic shaping, quality of service (QoS), and monitoring. Traffic shaping is a feature that allows for the allocation of bandwidth based on a user profile or type of application. Traffic such as peer-to-peer file sharing and video streaming applications, which can quickly use up all of the available bandwidth, can be allocated a small portion of bandwidth or blocked all together. Guests can be allocated a specific amount of bandwidth based on a user profile set up that may allocate a high amount of bandwidth to conference rooms and a lower amount of bandwidth for free Internet access in guest rooms or common areas. QoS is a one of the most important components of an effective bandwidth management strategy. QoS works hand-in-hand with traffic shaping policies. All of the traffic from applications is prioritized based on its importance and tolerance for network delays or latency. Videoconferencing is very sensitive to network latency. Video calls can experience jitter or disconnect when the videoconference data is not given a higher priority than less delay sensitive traffic such as web browsing. Other types of traffic that guests rely on, such as email, can also have a higher priority to minimize complaints from guests. Monitoring is one of the most important components of a reliable WiFi network. A good monitoring product will allow the status of all data, users, and devices to be seen quickly. Network monitoring uses SNMP traps that periodically poll equipment on the network to ensure it is still operating. Most monitoring software will send a notification to IT personnel across the network or via email or text message to inform them of a network failure before most users even notice a problem. Another monitoring feature is remote network monitoring or RMON, which monitors the traffic as well as the quality of the network to allow technicians to react at the first sign of a problem. All the technology behind bandwidth management will only remain an effective piece of the network if it is maintained, and performance issues are responded to quickly. Deep Blue Communications is one of the few hotel WiFi service providers that performs all of their own WiFi installations and configurations without outside contractors, and runs and staffs their own 24/7 help desk and monitoring service. Their monitoring service, combined with fast response times, is the reason why they have one of the highest customer retention rates in their industry.